All the work has been done for you at this perfectly presented rural lifestyle property. 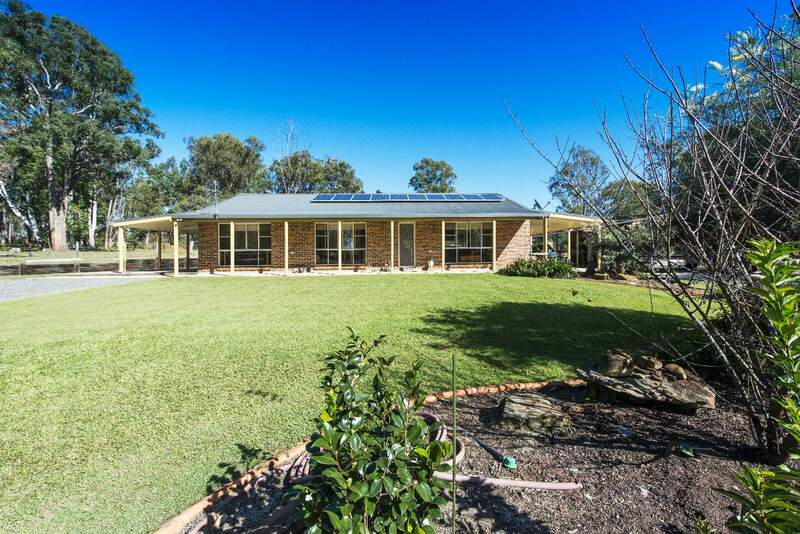 Situated on just over 12 acres, 58 Clearview Road would be appealing to almost any demographic; the young family, retired couple, or anyone wanting a bit of space for their lifestyle endeavours. The horses and pets would be welcomed here with two dams and dog-proof boundary fencing in place. The layout of the recently-renovated three bedroom home is socially inviting, with an air-conditioned open plan kitchen, lounge and dining area. The kitchen has had a complete transformation courtesy of Kitchen Fusion and features an impressive Falcon Stove, commercial rangehood, stone benchtops and soft-close drawers. Cooking at home will be an absolute bliss here. The home cook will be delighted to know there is an old slow combustion stove on the back verandah, which is included in the sale. The hallway leads to the large bedrooms (each with built-ins) and the impressive bathroom, also with stone features and a double-basin. You’ll spend your mornings relaxing on the veranda that envelopes the home, and summer will be a breeze with the swimming pool area which overlooks your land. The garage, carports and machinery shed will keep all of your boats, caravans and cars and the 5KW back-to-grid solar system will help keep the power bill down. The garage would also convert well into a studio, teenager’s retreat or granny flat; with plumbing available and power already connected. Aside from the usual maintenance of a home, there really is nothing left to do here; just move in and enjoy the ultimate low-maintenance country lifestyle. But don’t be too relaxed about booking your inspection – we know someone will fall in love with this property and snap it up. Will that person be you!? Phone JoJo Newby of Farrell McCrohon Stock & Station Agents on 0417 690 637 to arrange your inspection.